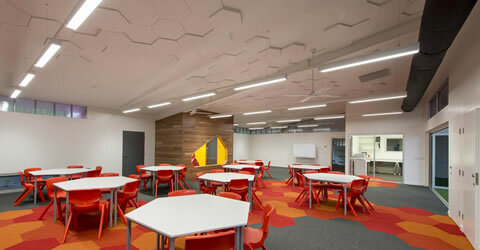 Construction of an environmentally responsive teaching facility with internal and external teaching spaces, flexible learning areas and support spaces. 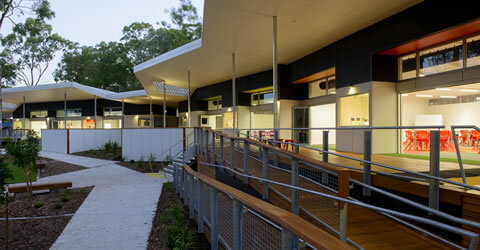 The project is part of the 'Year 7 Flying Start Program'. As part of this initiative, from 2015 Year 7 will become the first year of high school in Queensland. To ensure a smooth transition of Year 7 to high school, the Queensland Government is providing funding to upgrade facilities in secondary schools to ensure appropriate classrooms and facilities are in place to give students the best learning and engagement outcomes. Scope of works include extension to an existing school consisting of a year 7 classroom project and Prep GLAs. 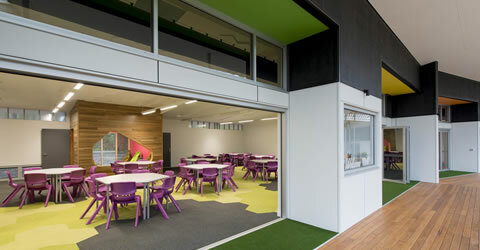 The year 7 component consists of 6 GLA classrooms, flexible learning space and ancillary support spaces. 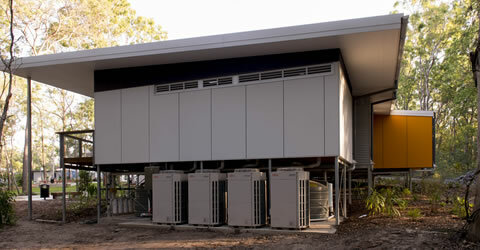 The Prep area consists of 2 GLA classrooms, ancillary support spaces and a toilet block. 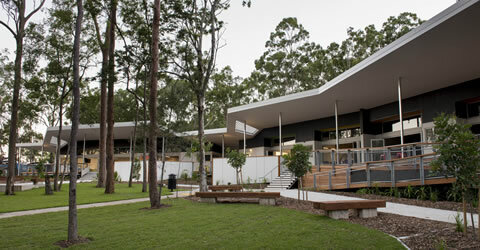 The building's unique design complements the densely vegetated natural environment. 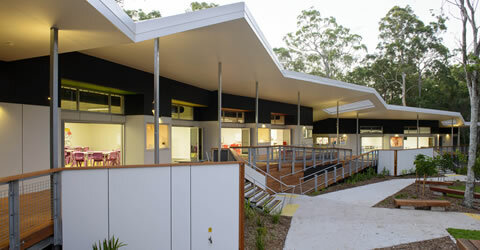 In keeping with its natural surrounds, the building employs sustainability principles which helps create a stimulating learning environment with minimal impact on the environment. In addition to the main building there is an extension to the existing staff car park and associated landscaping to the building area. As construction took place within the existing college campus, our team worked closely with the School to ensure minimum disruption to curriculum and maintain access within other areas of the school. In addition, the site was located within a heavily treed area, flora and fauna protection needed to be carried out to retain vegetation. A detailed site-specific Environmental Management Plan was developed to ensure preotection of existing flora and fauna.